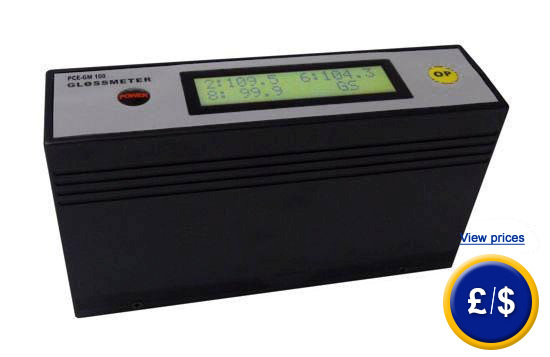 The PCE-GM 100 gloss meter is used for measuring flat surfaces and operates on the principles of refraction. 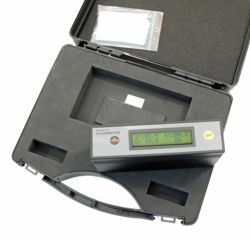 Its solid design and the practical dimensions of the gloss meter makes it perfect for measuring in situ and in production facilities. Calibrations are done easily using the calibration standard that comes included with the device. An optional ISO laboratory calibration and certification can be acquired. Thanks to the three measurement points, the device is ideal for almost all surfaces. It very easy to use. An overview of all our gloss meters can be found here. Thanks to the three measurement points, the device is ideal for almost all surfaces. Operating conditions 0 to 40ºC / 85% r.h.
For companies that wish to include the device in thier group of internal tools or for annual recalibrations (in cases when the calibrator is not used). The ISO calibration includes a laboratory calibration and a document with all the measurement values and details of the owner of the device. Here you will find all the measuring instruments available at PCE Instruments.